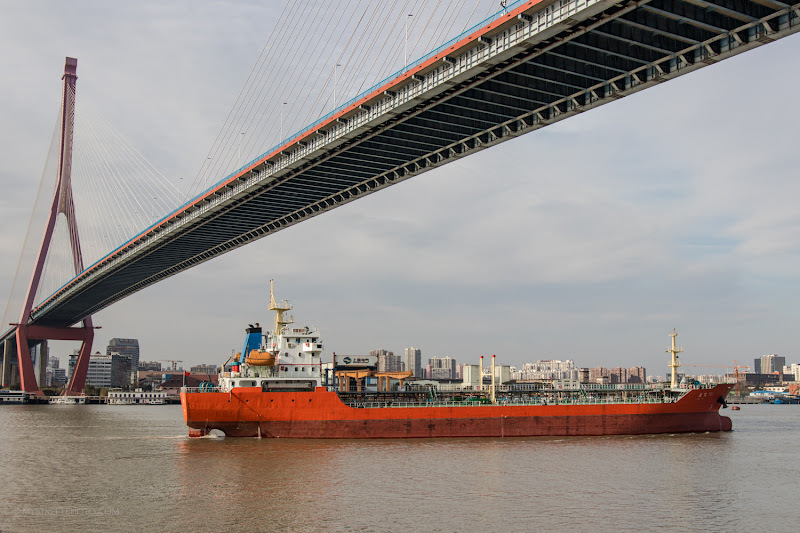 Shanghai has several bridges across HuangPu river that are connecting Puxi and Pudong area with great architectural structure. 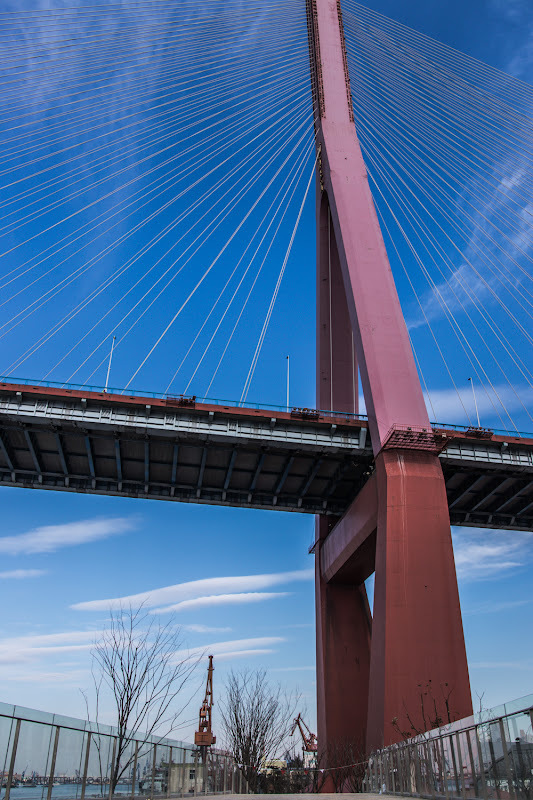 And before to access the bridge, there are always interchanges and flyover with a pretty complex direction but beautiful in architecture point of view. 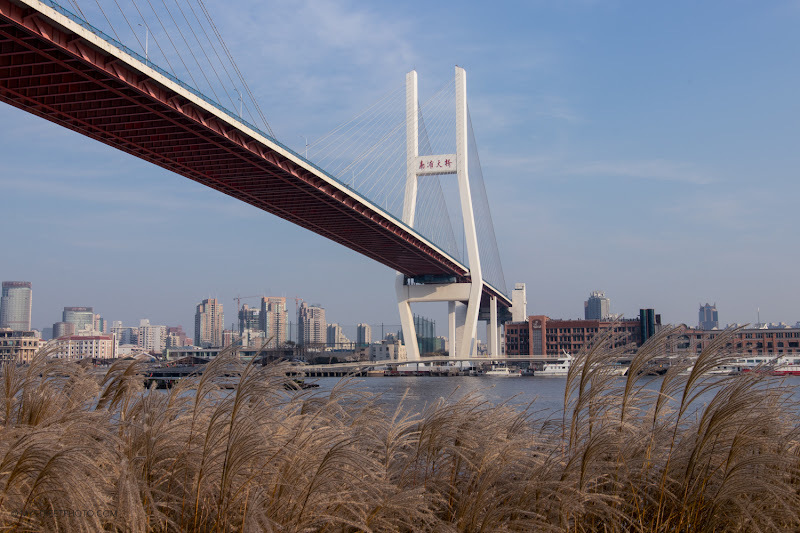 Lupu bridge - A curve shape bridge that connects the North-South Elevated Road from Luban road in Puxi to Shiboguan road in Pudong. 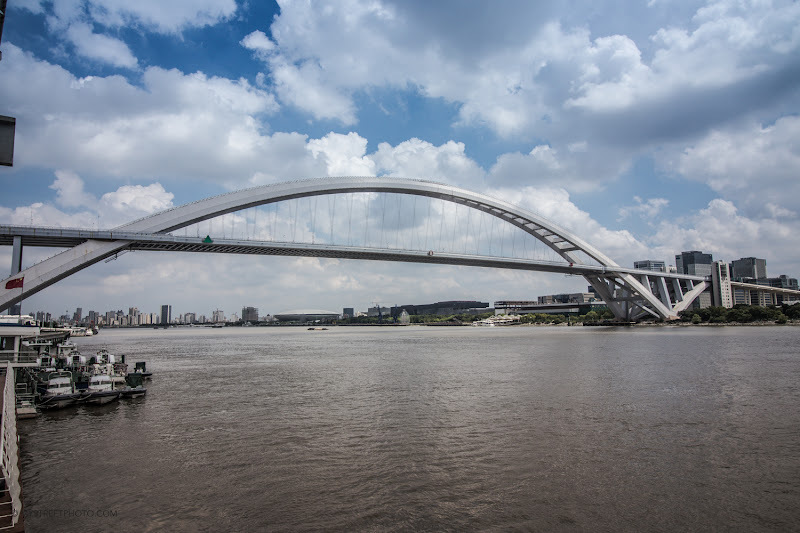 The closest metro station to this bridge for sightseeing is Line 4, Luban road station (Puxi) or Line 12, Shibo Avenue station (Pudong). Bring your camera to enjoy this nice view. 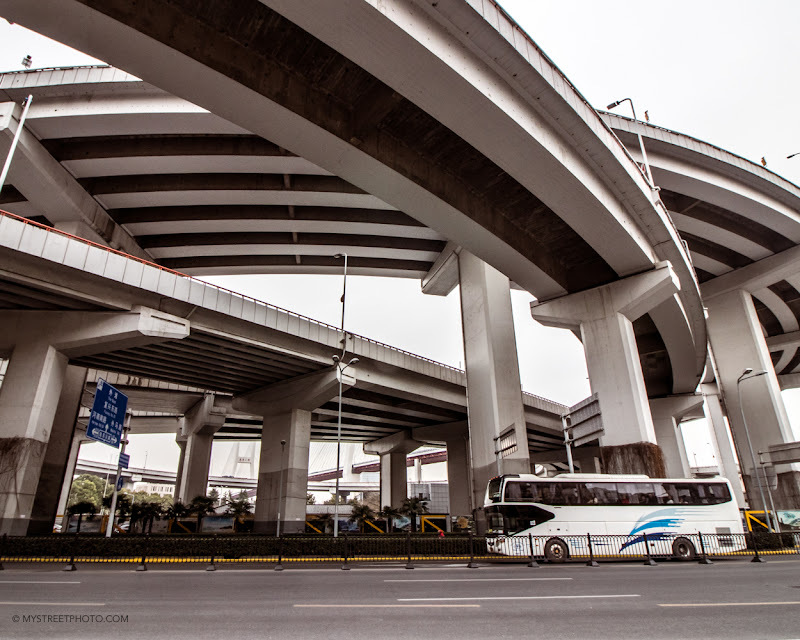 Luban Road Motorway Interchange - This interchange connect Luban road and Zhongshan South 1st road, and the elevated road is to go to Pudong area through Lupu bridge. The best location for sightseeing and photography is through Line 4, at Luban road station, exit 2 and then take a walk to the South on direction of Nanyuang park. 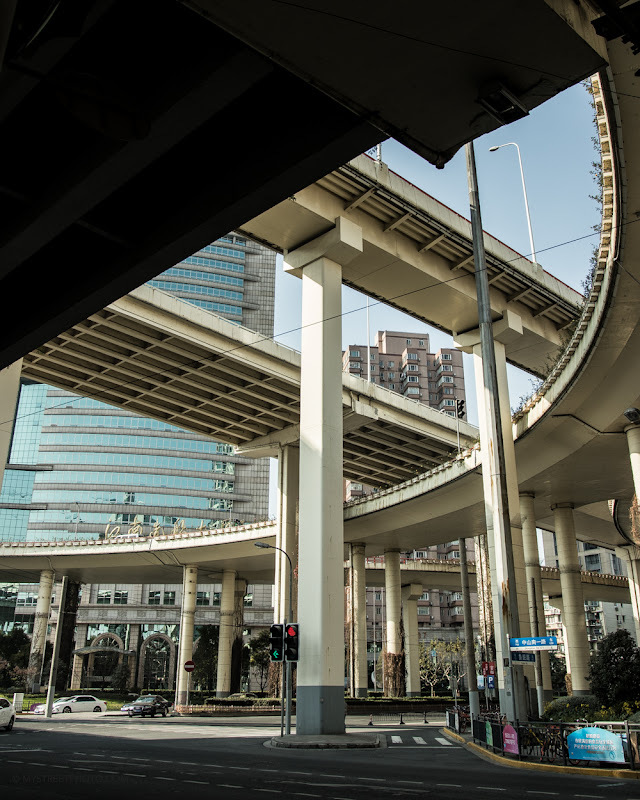 The interchange in central Shanghai area made a shape of fully circle, with low elevated road. Nanpu bridge located very near Lupu bridge, just 2 station away. Easy access by metro Line 4, at Nanpu bridge station, exit 3 or 1. Wants to get there? There is no metro line with station close to this bridge. You have to go through Line 16, at Deping station or Line 12 at Ningguo Road station and take shared bike available to get closer to the river through Luoshan road.